By becoming a reseller of my CDs and DVDs you will get extra exposure by being listed as a reseller in your area on my website.I may also send out messages to my visitors on youtube, facebook or twitter about giveaways from your location from time to time. 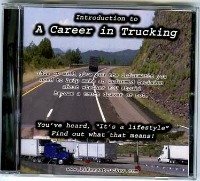 These are CDs and DVDs about trucking or life or life as a trucker. 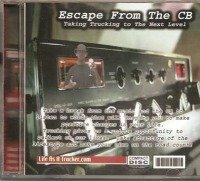 (trucking cds available for purchase here) Many people are interested in becoming a trucker and for good reason. You may have seen news stories about trucking jobs all during the recession. It's a great career for the right person. That last phrase is the problem. Too many people jump into trucking without asking questions. They don't know if they are the right person because they have no idea what to expect, other than what people who were trying to get them into trucking for the mere purpose of charge them for training wanted them to believe. In many cases, the information is not truthful or accurate. Which means a person begins a career with a false perception of reality, a recipe for stress and possibly worse. I try to fill potential drivers in about life as a trucker so they think through the process from their relationships to the reality about pay. I also talk about how to handle trucking right if they do decide to become a trucker so that they can be happy and successful in a career and not a dead end job. That is the material that you will be distributing if you so choose. The cost you is simply the cost of a master CD or DVD which is only $15 and is Available here. In some cases you will have to buy masters online. For some of you, I have given a master copy to. Here is a flyer you can download to help you sell to customers not sent from the website. There is a place on the flyer for your name and number (or email)so people can contact you for the CD. This particular flyer promotes the DVD until I update it. Next all you need to do is buy blanks and make copies. List your location on the reseller and local distributor below so thatpeople in your area can find you and save on their purchase. While you make a few extra dollars while helping out people in your community. You can do giveaways if you want but do not just continuously give away copies of my stuff obviously that devalues it completely. You can not mass produce, commercially reproduce or rebrand my cds. If you would like to sponsor copies, or have specially branded versions, I will be glad to do that for you for a fee. If you would like to resell professional original copies instead of copies that you simply burn, that can be arrange also, all you would need to do is purchase bulk retail ready copies from me.